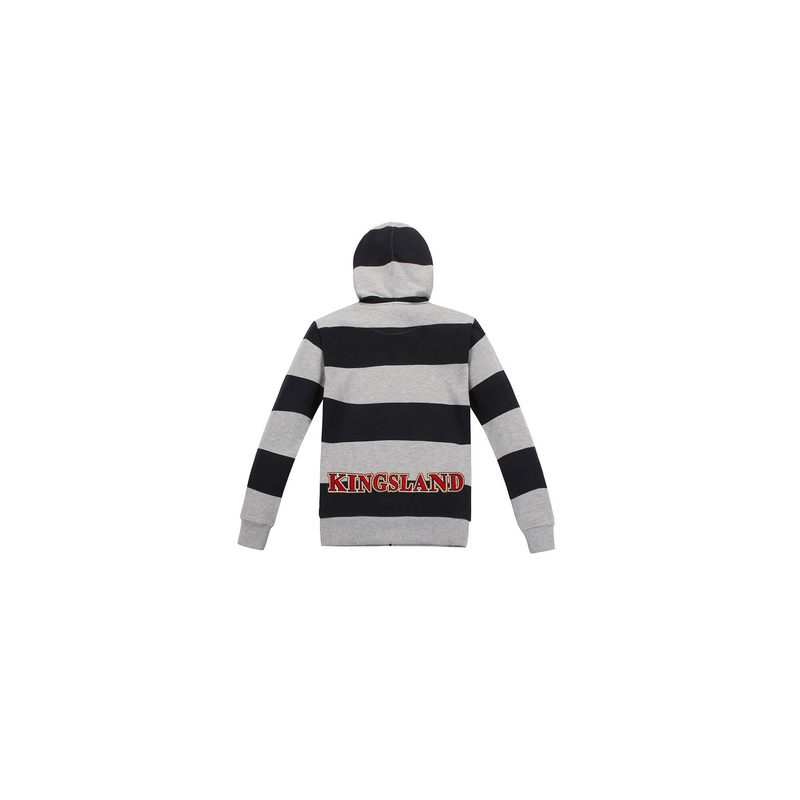 Unisex striped sweatshirt with hood, zippered. It has two adjustable drawstrings. Two pockets on the sides. Ribbing at the bottom and on the sleeves cuffs. 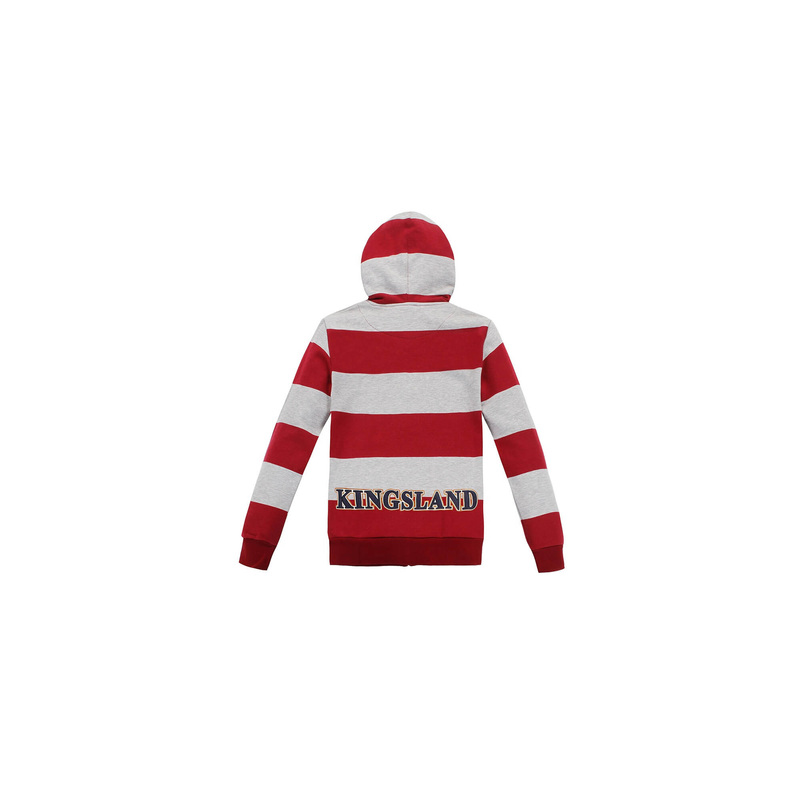 Effective Kingsland logo on the chest, on the hood and on the lower back.